I am the kind of person who goes through major phases with food. I can eat one thing everyday for a solid 6 months and then drop it like a bad habit for the next two years. It throws my husband off sometimes. Last year we ate oatmeal every morning… for a long time. Lately I have not been into it and have been eating eggs much more often. At first Patrick would kindly offer, “hey, want me to make you some oatmeal?” and I would reply, “no thanks, I’ll make some eggs in a minute.” He finally caught on, “why aren’t you eating oatmeal anymore?” “I don’t know. I just dont want it these days”. No reason, just done. 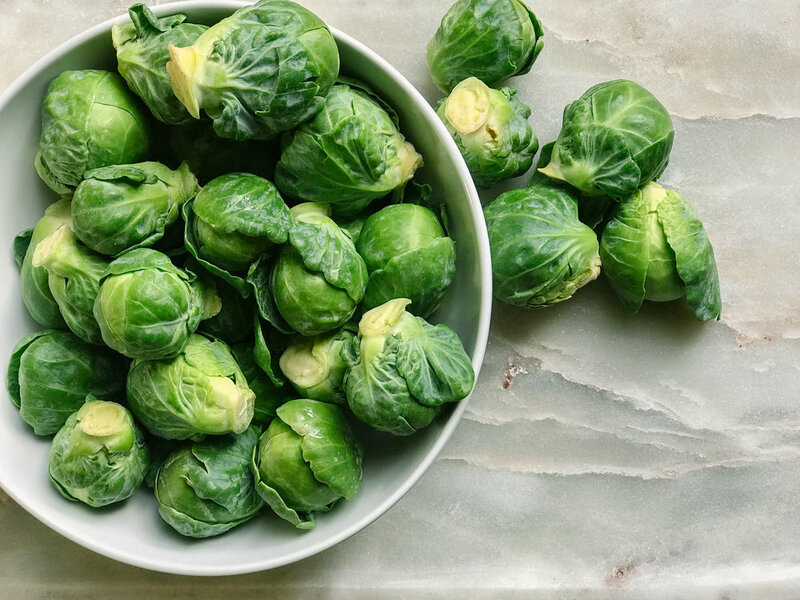 Lately one food I cannot get enough of is BRUSSEL SPROUTS. The vegetable that is the poster child for children hating their veggies, I can’t get my fill of this cruciferous wonder. I make it every week lately- the same way, with the same sauce. • Do yourself a favor and eat them with a Lemon Garlic Aioli sauce. The one The Defined Dish makes is a great place to start! Leftovers with eggs in the morning. Here is to hoping I dont tire of these little beauties anytime soon + enjoy them while they are still in season!